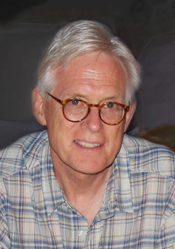 Barry Andrews is a retired Unitarian Universalist minister who has written, preached and taught classes on Emerson, Thoreau and Transcendentalist spirituality for the past thirty years. 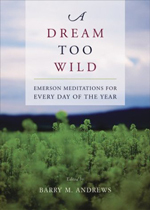 He is the author of a number of books, among them A Dream too Wild: Emerson Meditations for Every Day of the Year (2003) described by a reader as the finest anthology of Emerson's writing published thus far, as well as True Harvest: Readings from Henry David Thoreau for Every Day of the Year (2006), and The Spirit Leads: Margaret Fuller in Her Own Words, (2010). His most recent work is Transcendentalism and the Cultivation of the Soul, (2017). 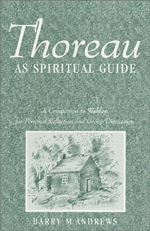 The book reflects on the soul and its cultivation - primary preoccupations of the Transcendentalists in everything they said and did, from the pursuit of self-reliance to social reform. 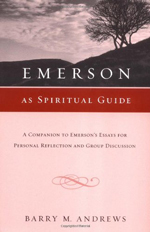 Andrews believes strongly that "there is a perennial wisdom in these writers and that they can be helpful guides for us in the cultivation of our own souls."